Mini pack of four must-have winter shades from OPI's NEW Christmas 2018 Collection. 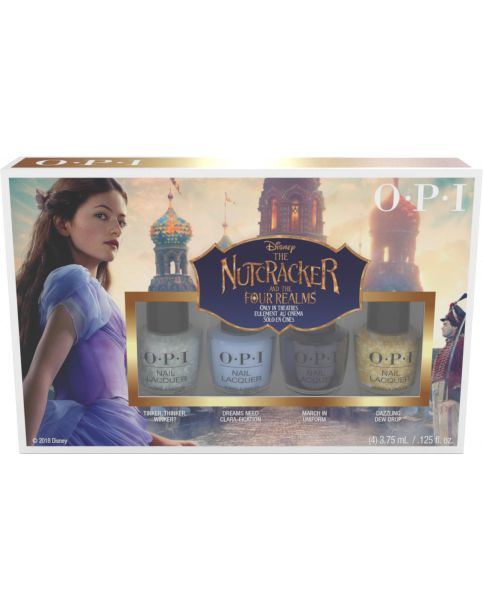 This Mini Pack Contains Four Mini Nail Lacquer Polishes from OPI's NEW Christmas 2018 Collection. Our mini pack helps you decide your favourite colour, or brighten someones nails and gift this nail polish gift set. 4 - Mini Nail Lacquers 3.75 mL - .125 Fl. Oz. Lacquer mini 4 Pack is rated 5.0 out of 5 by 1.